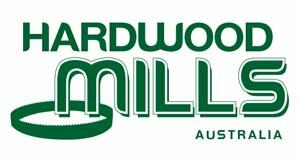 Hardwood Mills Australia has been providing quality sawmills for over ten years. Our extensive experience in timber cutting and commitment to customer service is unmatched. We understand the challenges associated with Australian hardwoods and work with you to determine the correct metal saw blade for the job. We take the time to understand the different types of hardwoods produced in Australia. This knowledge and experience mean you get the best cutting tools for processing timber. Our portable sawmills are designed in Australia specifically for cutting and processing Australian hardwoods. Providing the appropriate metal saw blade is just as important. Our bi-metal saw blades can be purchased as a single unit or in multiples of two, three, five, and ten so you are always sure to have a sharp blade on hand. We recommend that you use each blade for approximately 2.5 hours before re-sharpening. Each blade can be sharpened up to seven times, and the re-sharpening process takes about 20 minutes. A full day’s work would require three blades which can then be sharpened overnight. Our experienced staff is ready to assist you in purchasing your portable sawmill and metal saw blades. We may ask many questions, but we want to ensure you are getting the right product for the job. Contact us to see how Hardwood Mills Australia can make processing timber easier and more efficient. You can also stop by our warehouse in West Gosford NSW for a demonstration to see how straightforward our products are to use.